A list of valuable security-related online resources. We invite you to share the details of incidents for training purposes. 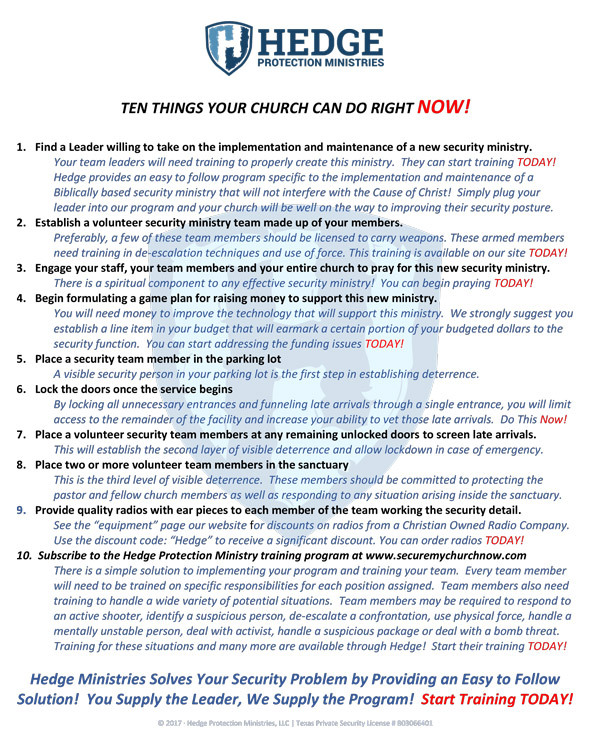 Please note that we will always protect your church's identity. Subscribe to receive periodic email updates about Church Security and receive local incident reports.